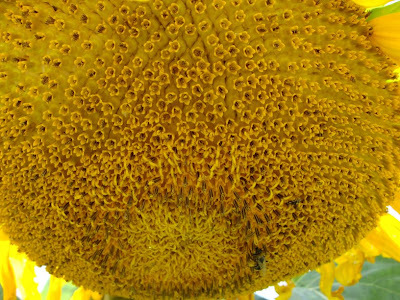 Now the sunflowers have opened, I can appreciate the complexity of the disc flowers in the centre of the flower head. They have a weird beauty which somehow reminds me of the illustrations in Antoine de Saint-Exupéry's book, The Little Prince. 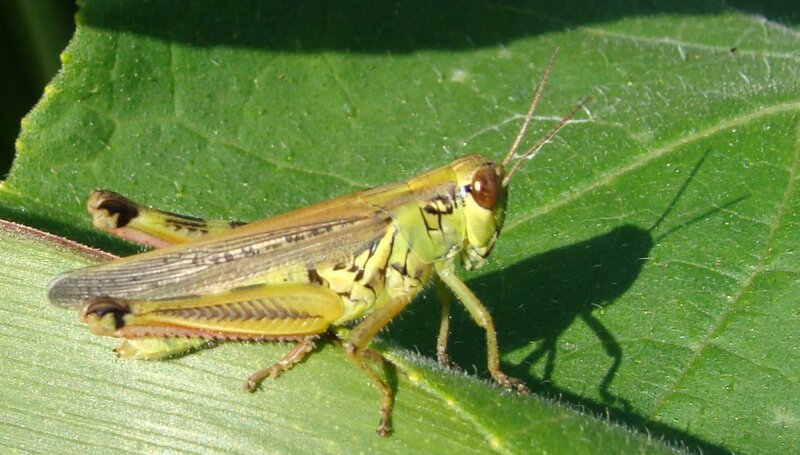 Nearby, a grasshopper seemed to be admiring its shadow. I didn't notice any ants, but I'm sure they were there somewhere, busily preparing for the winter. Just don't ask me to do any sums.